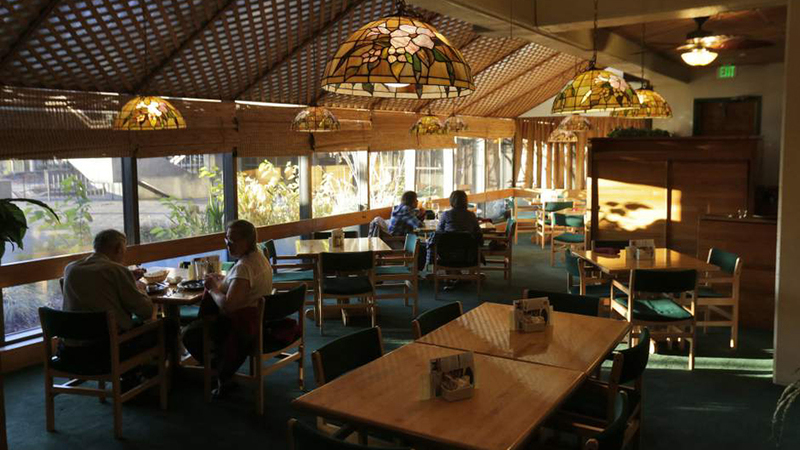 Just exactly how long has Roszak’s Fish House been operating in Bend? Forever, you guys. Just plain forever. In a community that has grown and changed as fast as Bend, to be able to walk into a restaurant that has been serving food at around the forty-year mark means they are doing something right. The self-proclaimed “King of Seafood” has been in Red Oaks Square off 3rd St since 1981 with a traditional fish house menu. While their online presence isn’t exactly stellar, they have a loyal following of old-school patrons who welcome their vintage vibe and service. One reviewer says “be prepared to be called sweetie, darlin’ or dear in this seventies style place”. Their lounge gets consistent traffic with a full bar. The restaurant is open Monday – Friday from 11:30 a.m. – 9:00 p.m. and is closed Sunday and feels like a place where they will learn your name if you, too, become a regular. Their happy hour specials start at 3:00 p.m. and their nightly special is their signature prime rib.